Currently the mix contains these lettuce varieties: Parris Island, Tango, Red 1006, Red Tango, Salad Bowl, Outradeous, Lolla Rosa. 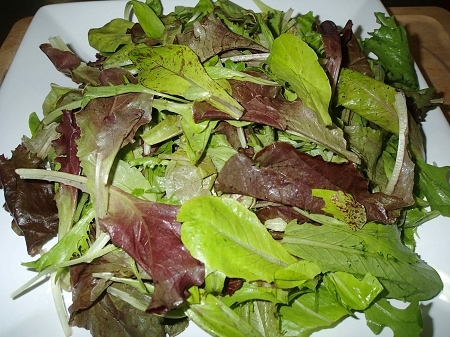 This very tender mix of lettuces make a beautiful, tasty, nutritious salad. Sold in an 8 ounce plastic container.